We know that you, as senior corporate leaders, have the continuously challenging task of communicating and convincing your company’s C-Suite and decision-makers that investment in different corporate citizenship pillars is critical in and of itself and needs to be measured over the long-term. To address your needs, CECP’s Giving in Numbers survey, the unrivaled leader in benchmarking on corporate social investments, in partnership with companies, has never been more robust. 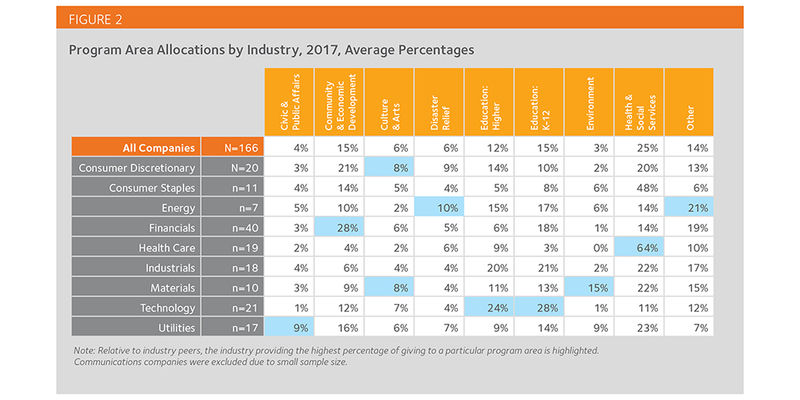 As the premier industry survey and research, Giving in Numbers continues to provide standard-setting criteria in a go-to guide that has defined the field and advanced the movement. CECP has the largest and most historical data set on trends in the industry, shared by more than 500 multi-billion-dollar companies over nearly 15 years, representing more than $250 billion in corporate social investments over that time span. The exclusive source of Giving in Numbers, CECP conducts the survey, publishes the report, and leads the valuation and survey guidance, and benchmarking support.